Ok it's been a while since I did the whole blog post thing so bear with me on this one... I've been a bit MIA since I started school in August but my schoolwork is always my priority. I could talk about Elon forever but (to be quick): I'm loving my classes and have already gotten involved with so many great organizations and I couldn't be happier at Elon! 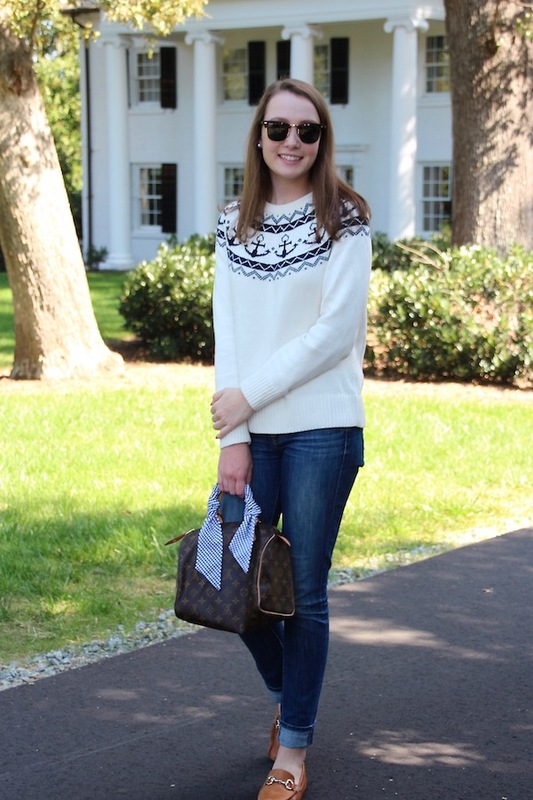 While I was home for fall break I was finally able to have some time to blog and take some outfit pictures with my dad. We had a (very brief) cold spell so I was able to pull out some of my favorite sweaters and dress like it's actually October. 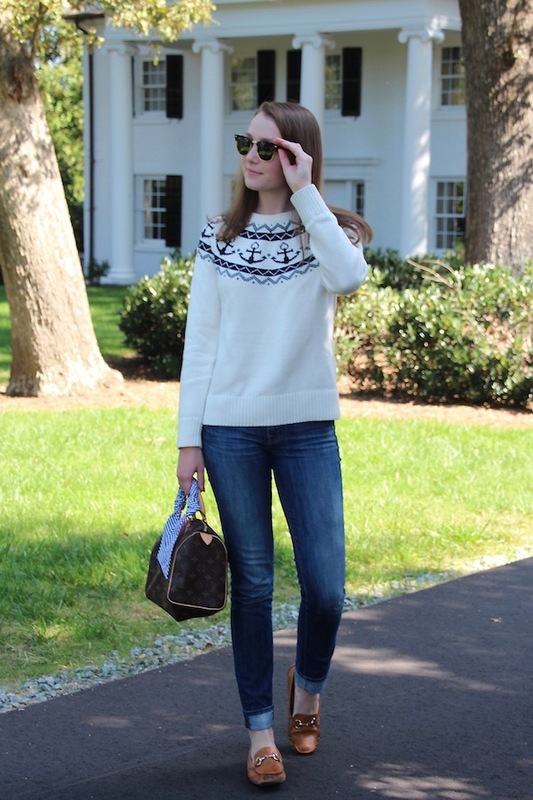 I got this anchor sweater last winter (last styled in this post) and it is definitely my favorite sweater I own. 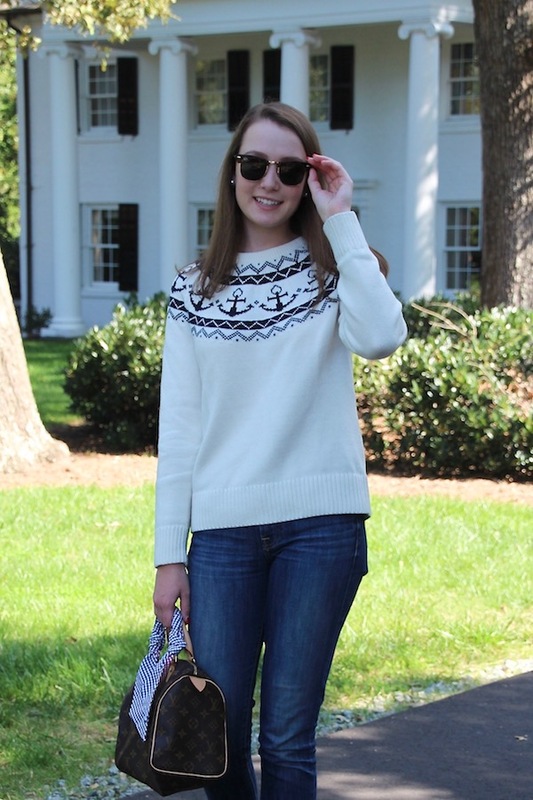 The sweater is currently on sale for under $40 until Tuesday so now is the best time to order it! I paired it with my favorite pair of jeans that were sadly discontinued and opted for these bit drivers since it's not quite cool enough to wear boots yet. 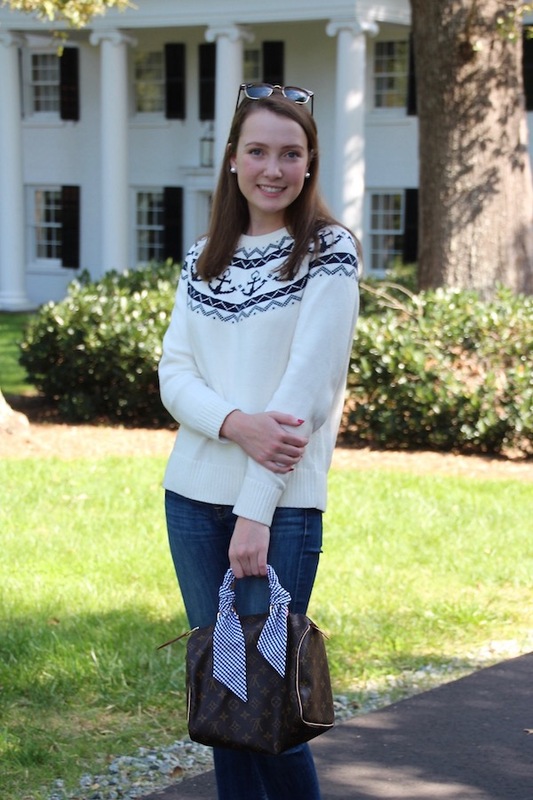 This sweater is so cute! Welcome back to blogging Renee- I've missed seeing your posts on my Bloglovin feed! 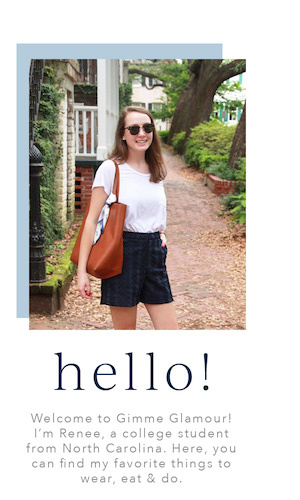 This outfit is so cute and I'm so glad you're loving Elon so far- we need to catch up when you're home again!